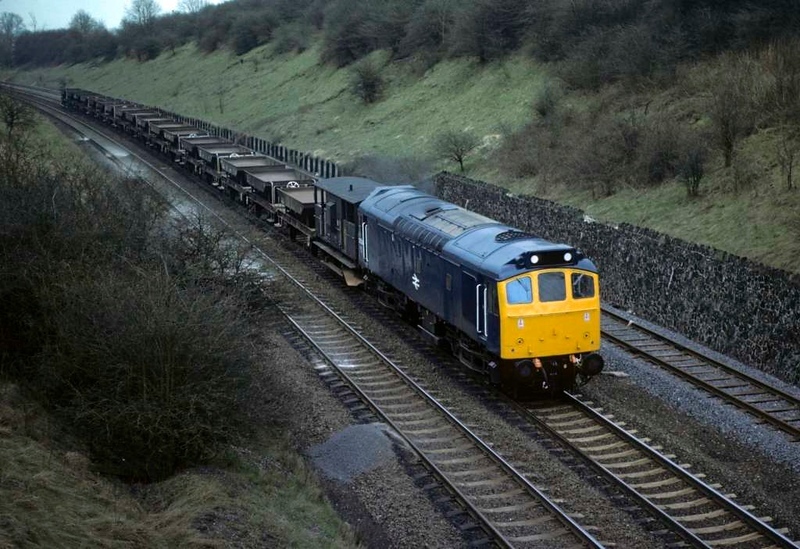 Five photos of diesels on the Midland main line. 25214, Kibworth, 17 April 1979. Heading north with a ballast train. The former D7564 was withdrawn in November 1982. Photo by Les Tindall.